Only three months after his supposed "last ever gig" at the Hammersmith Odeon, David Bowie was playing a US TV special, bringing along ex-Spider Mick Ronson on guitar and Trevor Bolder on bass. Pianist Mike Garson was in the band too. Drums were played by "Pin Ups" drummer Aynsley Dunbar. Apparently it was a joyless affair, with Bowie insisting on running through the songs sometimes up to forty times. Ronson was left distinctly underwhelmed by the occasion - "I turned up, put me make up on, played, put me guitar away, took me make up off and went home..."- is how he described the proceedings. Despite having "killed off" Ziggy Stardust, there were still lots of Ziggy-isms to be found in both Bowie's look and costumes for this event. All very strange, really. 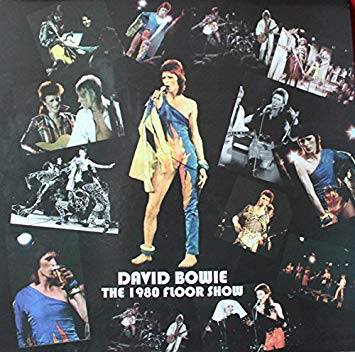 Bowie played three songs from "Pin Ups" - a slapdash "Everything's Alright", a riffy, clunky "I Can't Explain" and "Sorrow", whose backing track sounds distinctly like the original single as opposed to being played live. "Space Oddity", "Time" and "The Jean Genie" (thankfully played straight, not slowed down) are given run outs, plus the as yet unreleased "1984/Dodo", the former of which would end up on the following year's "Diamond Dogs" album. There is also a cover of Sonny & Cher's "I Got You Babe" with Marianne Faithfull (who dressed bizarrely as a nun for the song), which is thoroughly unremarkable. Faithfull seems to be trying to imitate German chanteuse Nico, badly. 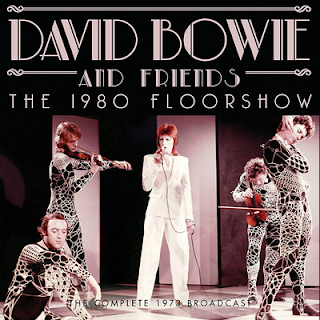 The whole show was intended to break Bowie "big" in America, but the whole "cabaret"-style pretentiousness didn't succeed. It was a precursor to the lavish stage show of the "Diamond Dogs" tour, however. The latter was much better, though, and "David Live" and "Cracked Actor" are excellent live albums, whereas this is not. The musicianship is ok, if a little uninspiring, but the sound isn't too great. It is listenable, but hardly "audiophile". I listen to it occasionally as a historical document, so to speak.